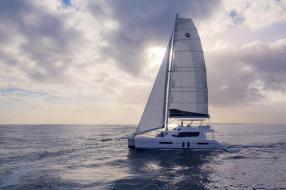 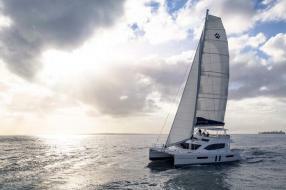 Leopard Catamarans’ new flagship, the Leopard 58, is expertly crafted by world renowned Robertson and Caine. 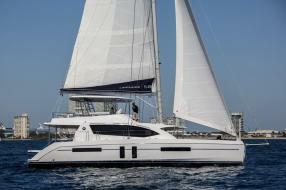 This luxury catamaran stays true to the sleek and innovative style that has made Leopard Catamarans so popular, while adding new features and multiple layout options. 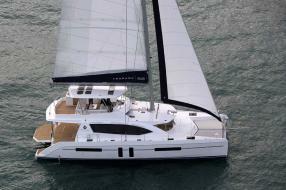 DESIGN When building the Leopard 58, the team of award winning designers at Robertson and Caine drew upon both the success of previous models and the feedback of over 1000 Leopard owners world-wide. 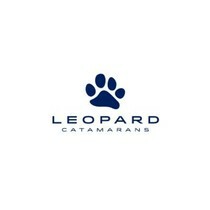 This allowed the Leopard design team to take the best features from previous Leopard models, while still creating an entirely new and exciting catamaran. 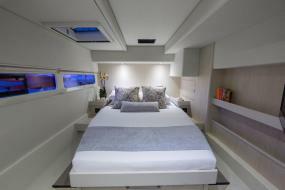 FLYBRIDGE Among the many intriguing features of the Leopard 58, the expansive flybridge with seating for up to 10 people is one of the most exciting. 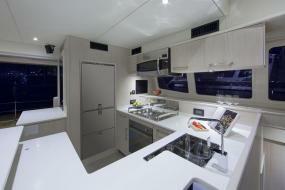 This large flybridge is perfect for meals, lounging, and taking in beautiful panoramic views. 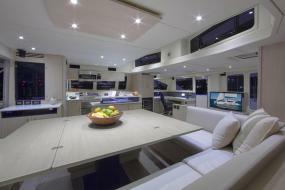 The large open aft deck and forward cockpit offer ample space for alfresco dining or lounging. 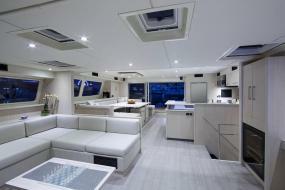 To enhance durability and beauty, the flybridge, the aft deck and forward cockpit are all covered in TekDek, a lightweight high impact simulated teak. 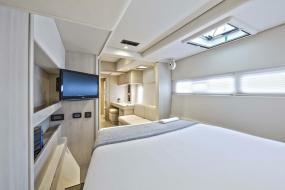 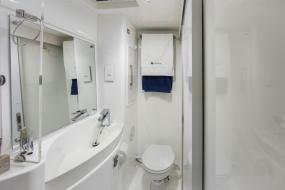 Also available in 4, 5 and 6 cabin.